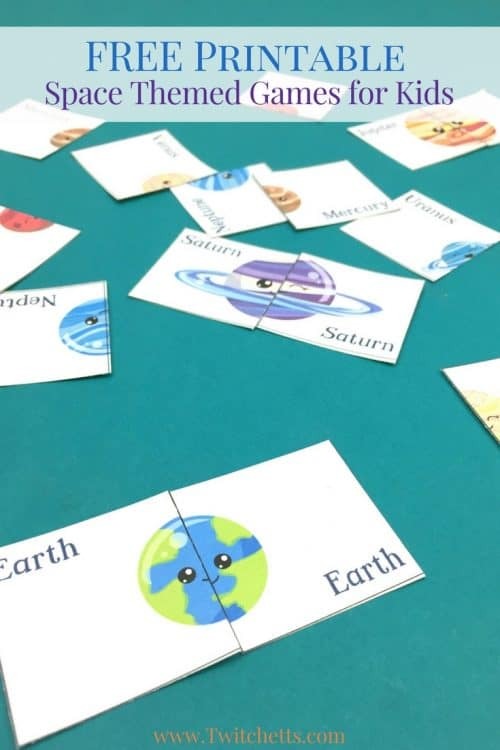 Grab this free printable and play two space themed games. 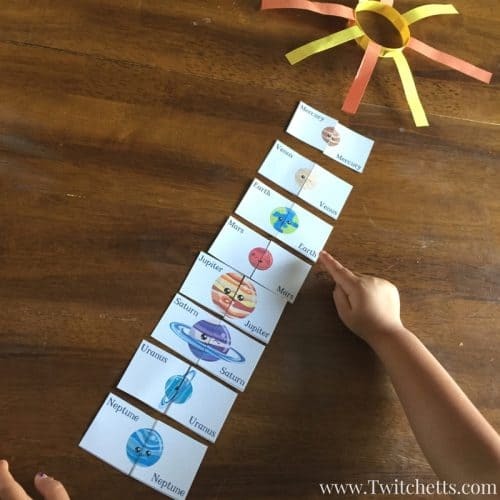 This printable solar system game is perfect for preschoolers. 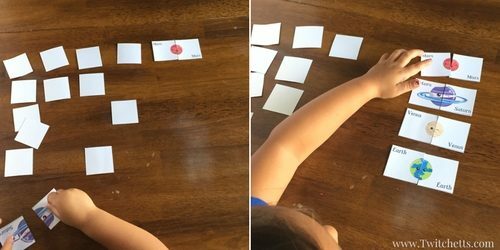 Get them interested in outer space by playing a matching game or a fun round of memory. We have a very old (Pluto’s a planet old) book about space that V has been into lately. It’s a cute Little Golden Book that says “this book belongs to the Twitchetts” inside. A gift from Grandma that will always be cherished, and read, even if Pluto is included. We don’t get too deep into space conversations, but we can at least play around with some of the planets! 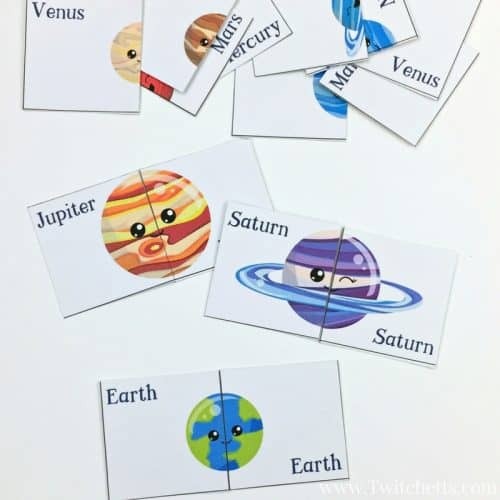 We created this fun little printable to help spark an early love for space and all the planets in our solar system. Print off your game pieces. For a longer lasting game, you can use cardstock. For a one time use, plain printer paper will work. 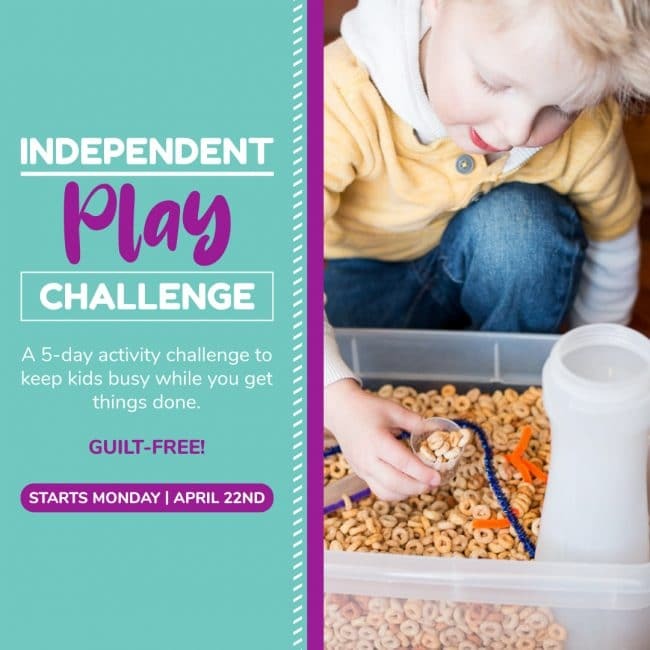 Just cut out all of your game pieces and you’re ready to play! First, we just mixed them up on the table and put them back together. Just like eight tiny two-piece puzzles. Once we did this a couple of times she was ready to take it up a notch. On to a game of memory! 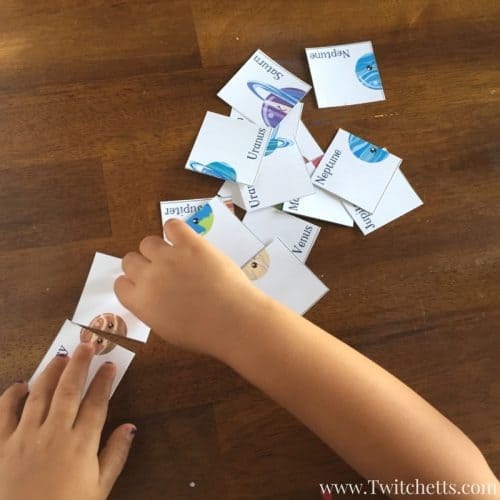 Flip over all your pieces and flip them over 2 at a time until you find a match! We even decided to place them in order… along with a fast little construction paper sun. For now, she can point out Earth on demand. Mars (the red one) and Jupiter (the big one) were also quick for her to remember. We had a lot of fun playing with our little planets. They are quick to throw in your drawer for a quick boredom buster when you need one! 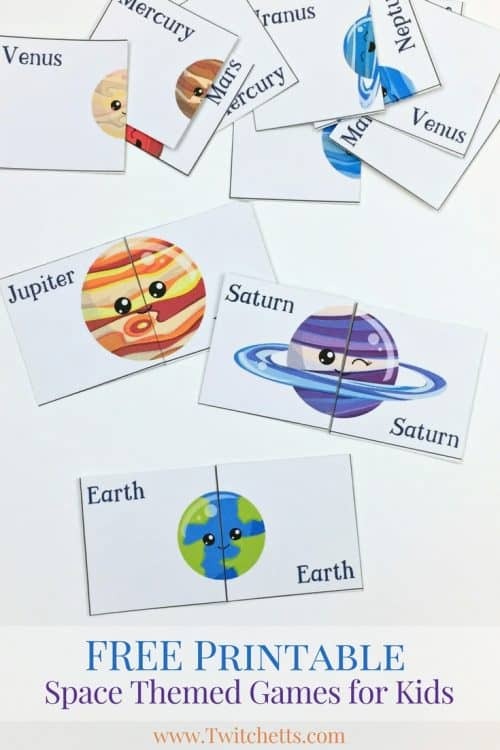 Pin this Solar System for Preschoolers to your activities board!